The emerging conventional wisdom among many Democrats takes the form of two equations: 2012 = 2004, and Bain = Swift Boats. There’s also a supporting narrative: The negative campaign against John Kerry fatally weakened his candidacy, securing the victory of an incumbent who could not have won based on his own record. And so, the idea goes, a president whose performance the public doesn’t much like can power his way to a narrow, less than pretty win by eviscerating his challenger. But the evidence in favor of all of these propositions is remarkably thin. The basic structure of the 2004 campaign differed fundamentally from the one we’re now enduring. The available evidence suggests that even in the short-term, the attacks on Romney have been measurably less successful than were those on Kerry. And Obama’s supporters seem to have forgotten that the reason Bush prevailed was because enough Americans ended up approving of his record and leadership in the areas they cared about the most. In 2012, there is a single dominant issue—the economy. The people are trying to decide whether Obama has managed our economic challenges well enough to deserve another four years and, if not, whether Romney’s economic experience and plans make him an acceptable alternative. In 2004, by contrast, there was no single dominant issue. An NBC/WSJ survey published a few days before the election found 24 percent naming terrorism as the single most important issue, followed closely by the economy (22 percent), the war in Iraq (also 22), and social issues and values (17). A CBS/NYT survey conducted not long after the election asked the respondents to name the one single consideration that had mattered the most as they cast their votes. The answers were all over the map. At the top was George W. Bush himself, with 13 percent, following by war (12 percent), Iraq (11), the economy and jobs (9), terrorism (8), and moral values (6). Indeed, the 2004 election featured a struggle to define the agenda. Democrats focused on the economy and health care, while Republicans emphasized terrorism and values. In mid-September the public was split down the middle, 44-44, on the relative importance of these two baskets of issues. The people saw Bush as significantly more able to handle the former, and Kerry the latter. So the fact that by the eve of the election fully 50 percent had come to see the issues where Bush was strong as more important contributed to the late surge that put him over the top. 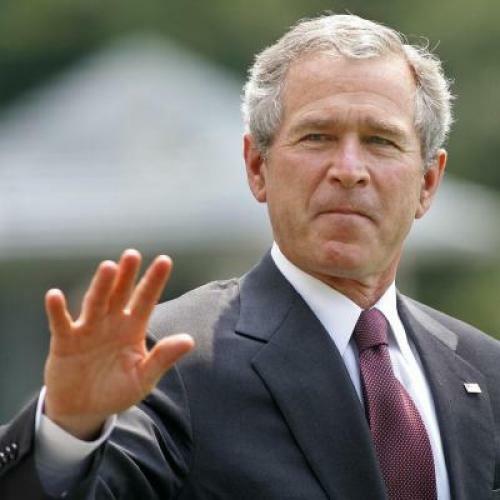 52 percent of the people thought that Bush would do a better job dealing with terrorism and homeland security, versus 29 percent for Kerry; they preferred Bush on Iraq, 50 to 37; on moral values, by 47 to 29. Kerry led 48 to 32 on jobs and unemployment and by an even wider margin of 51 to 28 on health care, but by election day those issues didn’t top the concerns of enough voters. Because the Republican assault on Kerry focused so heavily on his service in Vietnam and subsequent anti-war activities, one might have expected it to undermine the public’s confidence in his ability to serve as commander-in-chief. But the evidence suggests that just the reverse occurred during the course of the campaign. In May, only 34 percent expressed confidence in Kerry as a potential commander-in-chief, while 61 percent expressed reservations ranging from moderate to intense. But Kerry’s stature grew steadily, even during the summer-long attack on his military record. By mid-October, the share of the electorate who felt confident in him had grown to 44 percent while the share with worries fell by 13 points, to 48 percent. The real story of the 2004 isn’t that attacks disqualified Kerry as a potential president—they didn’t—but rather that in the two months from Labor Day until the election, the incumbent persuaded just enough people that his record warranted reelection. (His unwavering support of the war in Iraq temporarily halted the erosion of public support for his decision, despite its unexpectedly difficult aftermath.) During that period, the right track/wrong track numbers moved up, and the public’s assessment of Bush’s record on foreign policy, the war in Iraq, and the economy all improved. On the eve of the election, his overall job approval averaged about 50 percent, up from less than 48 percent in mid-summer and closely predicting the 50.7 percent share of the popular vote that he received. Obama now faces a similar task. In the fourteenth quarter of his presidency, which ended July 19, his job approval averaged 46.8 percent—a bit higher than Gerald Ford’s 46.0 percent in mid-1976, but more than a percentage point lower than Bush’s 47.9 percent. While inductive generalizations are not necessary truths, the fact remains that no incumbent has ever been reelected with a job approval below 50 percent. The most recent CBS/NYT survey illuminates the challenge Obama confronts. Not only is his job approval down to the levels of last fall and winter, before four months of good economic news pushed them up, but also other indicators—such as right track/wrong track and management of the economy--are moving in the wrong direction. The people have noticed the difference between 225 thousand new jobs per month and 75 thousand, and they’ve drawn the obvious inference: Only 24 percent of Americans think the economy is improving, down from 33 percent in April. So the president has some work to do, and he can’t get the job done simply by attacking his adversary. Indeed, as I’ve argued in previous articles, the evidence that the all-out assault on Romney record at Bain Capital is making a difference remains thin at best. Since July 1, while Obama’s survey average has declined from 47.5 to 46.0 percent, Romney’s has actually edged up slightly, from 44.1 to 44.7 percent. A Gallup/USA Today survey released July 24 finds 63 percent of Americans believing that the challenger’s “background in business, including his time as head of Bain Capital,” would cause him to “make good decisions . . . as president in dealing with economic problems that U.S. will face over the next four years.” Only 29 percent disagree. This helps explain why Romney leads Obama by 10 points, 51 to 41, on managing the economy and by 6 points (50-44) on creating jobs. The survey goes on to suggest that Obama still runs even with Romney because of his perceived edge in character. He leads Romney by 30 points on likeability and by 11 on understanding the problems American face in their daily lives. If the election comes down to these differences, Obama might well win a narrow victory. But there’s one other personal characteristic that tilts in the other direction: Romney has a 5-point edge over the president as a leader who can “get things done.” If the voters care more about efficacy than empathy as they enter the polling booths, Nov. 6 could be a long night for Democrats.